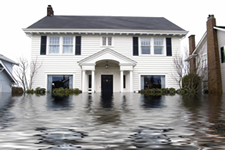 Basement flooding can be a very costly and dangerous issue. Not only can it cause costly mold problems to your house and structural damage but it can endanger the health of you and your family. It is definitely not a wait and see situation. Basement system waterproofing a good way to make sure that you lower the possibility of flooding. Flooding can be caused by a couple of things. One of the most common causes of flooding is the house was build on an unsuitable location. Certain terrains such as down slopes can cause reoccurring flooding. Floor and wall sealing should be done when the home is being built so that water can’t enter the premises has easily. If not done properly water can enter the home and do damage. This is when the manifold that connects to your home gets blocked. This can cause sever flooding in the basement. When this happens you need to contact the authorities that are in charge of theses sytems in hyour community to make sure that it doesn’t happen again.